Charlotte, North Carolina has a population of over 840,000 people and spans across 297 square miles. The earliest recorded indigenous people of the area are the Catawba Native Americans who were around as early as 1567. Scot-Irish and German immigrants settled in the city about 200 years afterward in the mid-1700s. The town was named in honor of Princess Charlotte of Mecklenburg, who would later become the Queen Consort of Great Britain and Ireland. The city's flag is the Saint Andrews flag of Scotland. Charlotte has several industries and businesses helping aid a great economy; the Bank of America Headquarters is planted in Charlotte, as is the headquarters that oversees Wells Fargo's eastern business. Charlotte is home to the Carolina Panthers, an NFL team that brings in a lot of tourists during home games. The NBA's Hornets, the USL's pro soccer team the Independence, and the Charlotte Hounds (pro lacrosse) all reside in Charlotte giving sports fans of all varieties someone to cheer for. NASCAR is a big deal in Charlotte; the Charlotte Motor Speedway is located in city limits, and the town hosts two NASCAR cup series and the NASCAR all-star race. The community in Charlotte unites several times during the year and homebuyers new to the area will get to experience all the fun and exciting activities the city has to offer. The Carolina Renaissance Festival comes through town every fall with an interactive circus and a jousting competition. "The taste of Charlotte" where homeowners can sample from 100 different restaurants over a three day period is a fun way to eat out during the weekend that also offers cooking classes to kids along with music and dancing. There are 164 public elementary, middle, and high schools admitting students in the Charlotte area, as well as multiple colleges including the University of North Carolina at Charlotte, Johnson C. Smith, Queens and Johnson & Wales. 15 library locations, 18 museums, opera and theater opportunities, numerous parks and beautiful hiking trails and walking paths submersed in nature are available to homeowners in Charlotte. 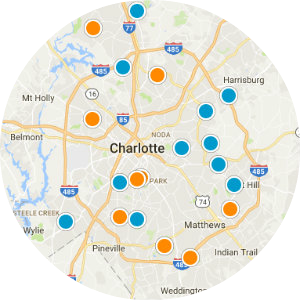 Homebuyers looking for condos, townhomes, and single-family houses for sale have plenty to choose from when picking from Charlotte's 200 neighborhoods. Located in Meyers Park, homebuyers can see large, Victorian-style older homes, and throughout the extensive city future residents will find nearly all style types; traditional, contemporary, cottage, a-frame, colonial, and craftsman can all be discovered in town. 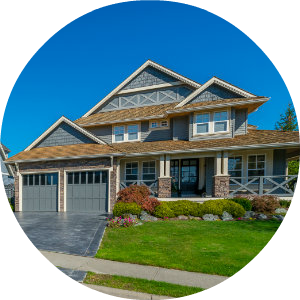 Beautiful houses with brick and wood exteriors and homes with 500 square feet ranging to over 10,000 square feet create a nice variety of options that will fit any size household. Houses with finished basements, renovated dens, outdoor kitchens, and waterfront properties can all be found available in Charlotte. 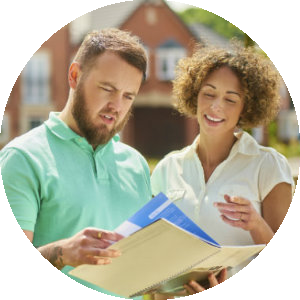 If you are interested in buying a home for sale in Charlotte, North Carolina, please contact us today. Listing courtesy of Lake Norman Agents LLC. Listing courtesy of The Crowned Realty Group. Courtesy of New Beginnings Real Estate Group, LLC. Listing courtesy of New Beginnings Real Estate Group, LLC.. Listing courtesy of Allen Tate University.